The Cleveland Cavaliers recently launched CavFanatic.com, a social networking site designed specifically for Cleveland Cavalier fans. The site marks a new wave in teams exploring the social networking space - the team has created a unique online forum that enables die-hard Cavs fans a way to chat, post blogs, share photos/videos, and create profiles and groups. The site falls in line with two (2) innovative social networking sites created by the Portland Trail Blazers and the Indianapolis Colts. 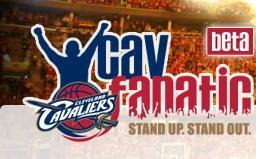 If you have a moment, check out CavFanatic.com as well as some of the other leading 2.0 social networking sites... It is the next revolution for connecting with your young fanbase!